"You prefer strudel, honey? 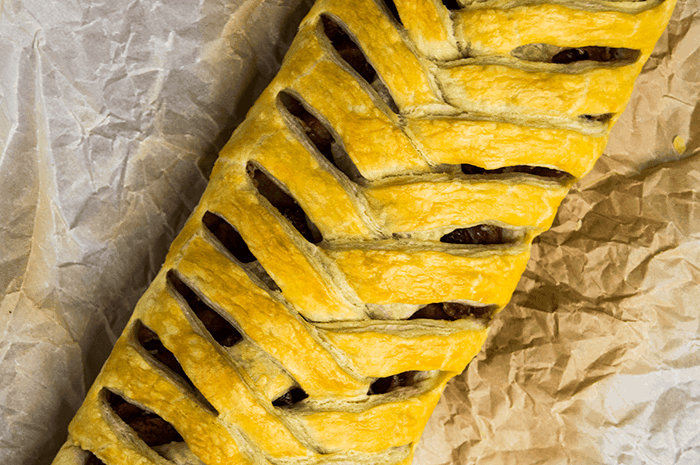 Strudel it is!" As we continue through Harry Potter week, we pop over to the United States to visit Queenie in NYC. If you aren't caught up on the first Fantastic Beasts movie, be warned, there may be mild spoilers throughout this post! 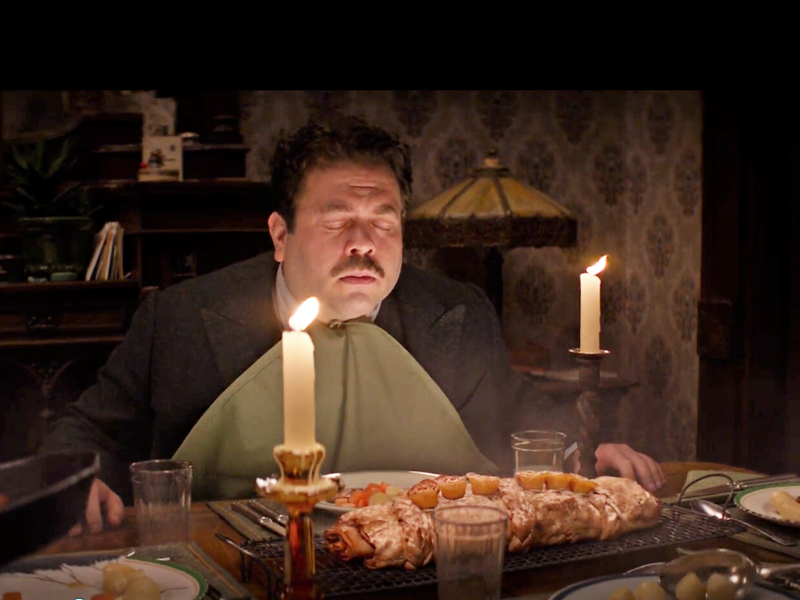 A confused Kowalski finds himself in Queenie's kitchen being treated to some homemade... er...magic made?... 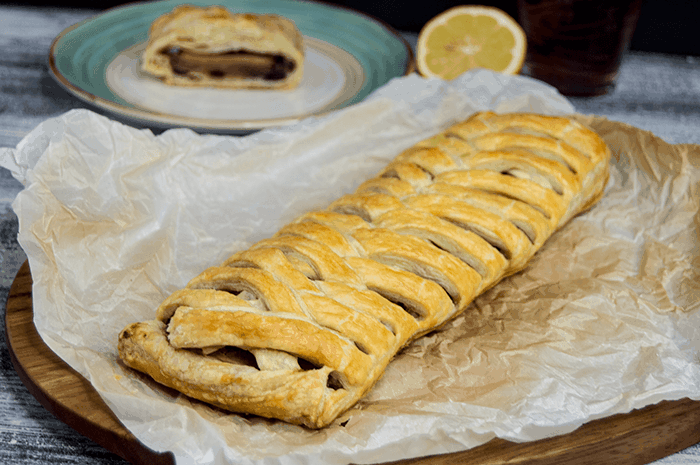 apple strudel. 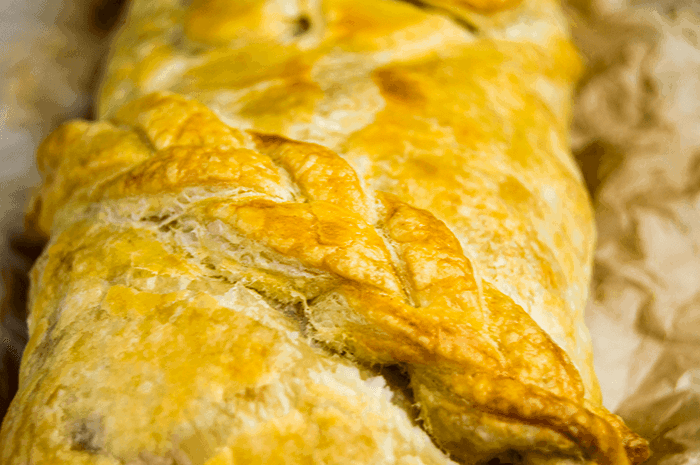 While Queenie's strudel appears to be made out of a type of filo dough, but as a No-Maj, I opted to use puff pastry - because it's easier to work with if you don't have a magic wand to help you. 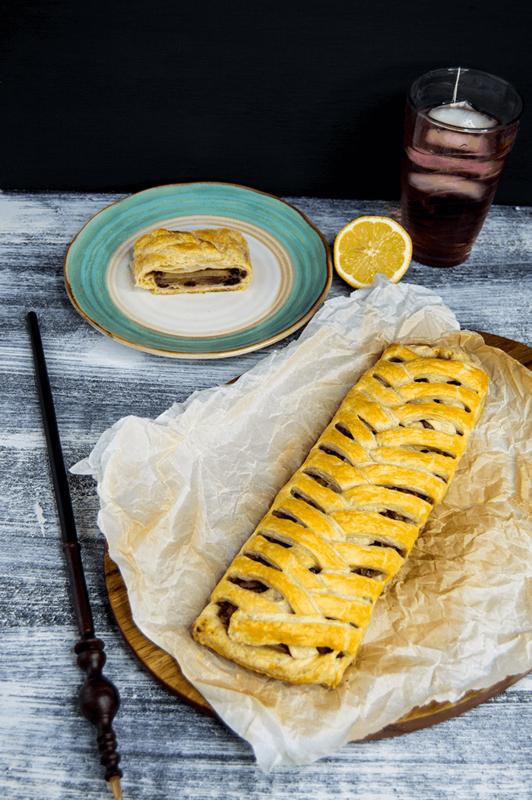 As stunning as this strudel appears, it was really quite simple to do without magic. A quick cut and cross technique is all that is needed to achieve the pattern. 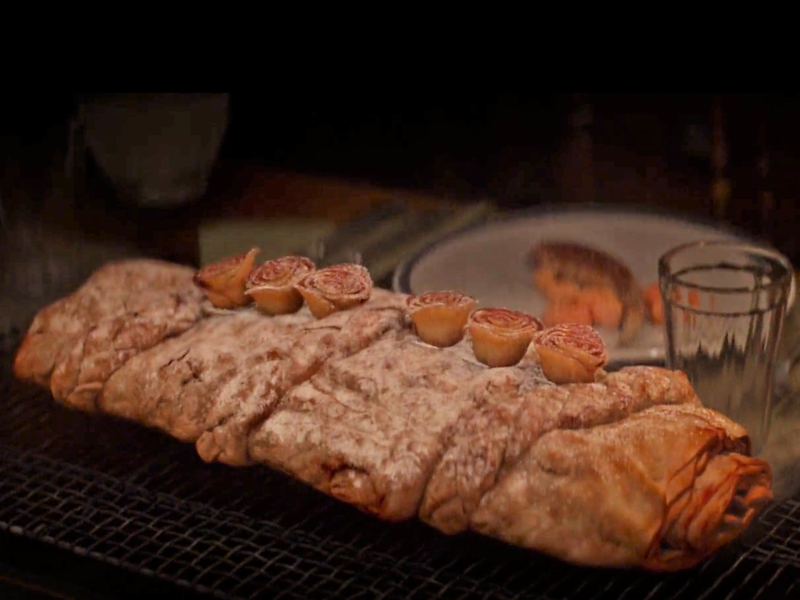 Queenie would have no problems reading the mind of whoever eats this strudel - because it is absolutely delicious. Soft and chewy in the center and tender-crisp on the outside. Kowalski, as a professional baker, probably sold similar pastries in his bakery - even if he didn't remember why he was making them! Preheat the oven to 350 F. Wash and core the apples, then slice thinly. Place the sliced apples in a bowl and toss with the lemon juice, raisins, sea salt, flour, sugar and cinnamon. Rest the apple mxture for about five to ten minutes to let the flour absorb as much as the moisture as possible. Stir occasionally. Unfold the thawed puff pastries. On a lightly floured surface, use a rolling pin to press together the seams and roll out the pastries to consistent thickness. Arrange the apple slices down the center of each pastry, leaving the sides open and about 1-2 inches of dough at the top and bottom. Evenly distribute the apple slices in an overlapping row on each pastry. Top with raisins from the flour mixture. Sprinkle any remaining flour/sugar from the bowl onto the tops of the apples. Use a sharp knife to cut to about a half inch away from the apples. Cut 1/2 inch thick slices down each open side of the pastry. Make sure you have the same number on each side. Fold the top and bottom over the apples. In an alternating pattern, cross one strip of dough over the apples, then take the same strip from the other side and cross it over the first, forming a "V" or "X" like shape. Repeat with every strip, folding the last over the dough on the bottom and tucking under the pasty. Transfer the pastries to a parchment or silicone lined baking sheet. Whisk together one egg with a tablespoon of water. Brush the pastries with the egg wash and bake for 30-35 minutes, until golden brown and fragrant. Serve to all your No-Maj friends!